At Bark for Schools, we’re always looking for ways to measure our impact. It’s important for us to be able to show how we can help as many schools as possible keep their children safe, whether online, in real life, at home, or at school. In this video, we spoke with the administration of Affton School District in eastern Missouri. 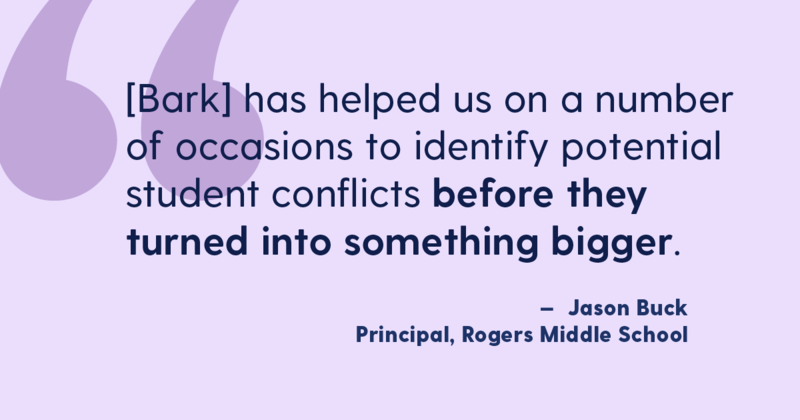 They told us how Bark has helped their district confront the challenges facing students today. Located in the outskirts of St. Louis, Affton is a smaller, suburban school district with around 2,800 students. As a result, they’re able to be innovative with technology. 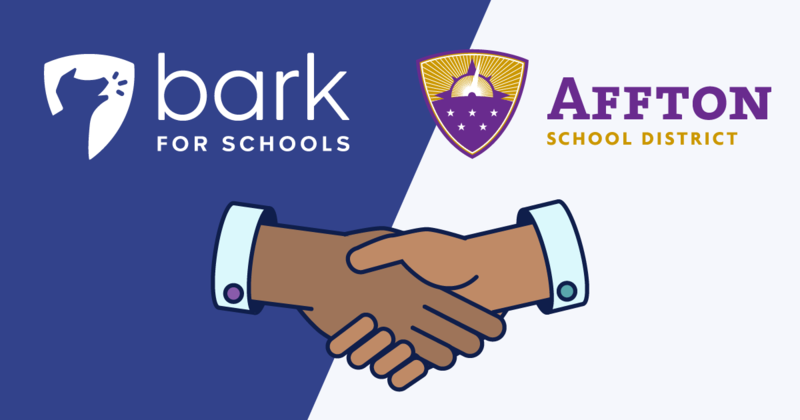 Whether it’s through their curriculum, their technology infrastructure, or their approach to school safety, Affton is always looking for ways to maximize their value to the community. Superintendent Travis Bracht knows that safety and security are the most important things to Affton parents. “The biggest thing that parents want from the school usually is around safety … That has typically just meant the physical environment, but now in the 21st century it means online.” By using Bark to secure the virtual environment alongside the physical, Bracht feels that the parents in his district have confidence in Affton’s ability to keep their children safe. Jason Buck, principal of Rogers Middle School, says that Bark has enabled Affton to get in front of issues. “It has helped us on a number of occasions to identify potential student conflicts before they turned into something bigger.” He has also received alerts over weekends that have helped him intervene in potentially life-threatening situations. By knowing when to reach out to parents, Affton has been able to get students the help they need. Bark for Schools was developed in the wake of the tragic shooting at Parkland, Florida, as a way to give back to school communities. With the technology for keeping kids safer on their devices already in place in our product for families, we decided to extend our service to all K-12 public and private schools in the U.S. — at no cost to them. One year later, Bark for Schools had become the trusted partner of 1,000+ school districts — with more than 80 joining every month. Schools can learn more about Bark for Schools by visiting our website and reading our case study of Plum Borough School District, and parents sign up to monitor their children’s personal devices with Bark for Families. Sign up today!